If you’re starting to see a plateau in your weight loss efforts and want some new and effective at home workouts that will help you increase your metabolism and burn fat fast, give one of these HIIT workouts for beginners I found on the FitnessBlender channel on YouTube a try! HIIT, or high-intensity interval training, involves intense periods of exercise followed by short recovery periods so you burn more fat in less time, and I’m seeing HUGE results after only 2 weeks. Give one a try today – you’ll be hooked in no time! Don’t have an internet package that allows you to stream online workouts for hours on end each month? Check out some of Cathe Friedrich’s HIIT workouts on Amazon. She has loads of videos to choose from, and I highly recommend her Ripped with HiiT Discount Bundle! The FitnessBlender channel on YouTube is filled with so many great workouts. CLICK HERE to subscribe today! 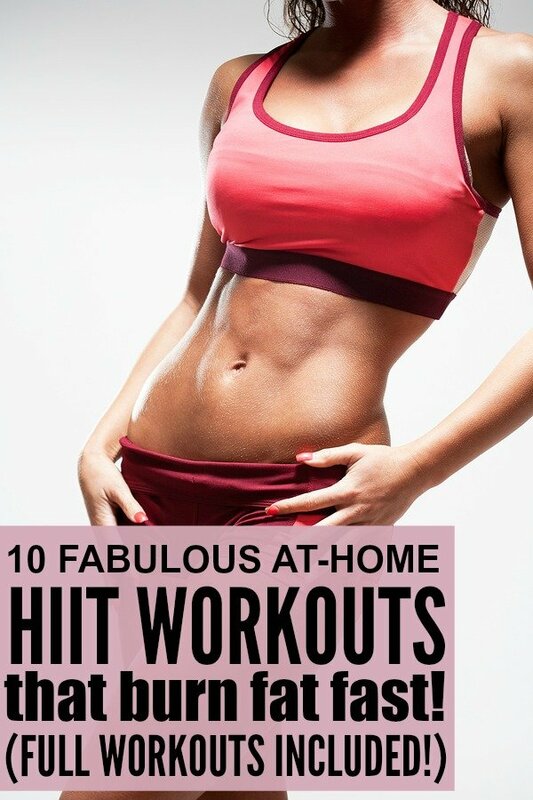 If you enjoyed these HIIT workouts for beginners as much as we did, please share them on Pinterest! And if you’re looking for more at-home workouts to help you get back in shape this year, please follow our Health and Fitness board where we share all kinds of inspiration!